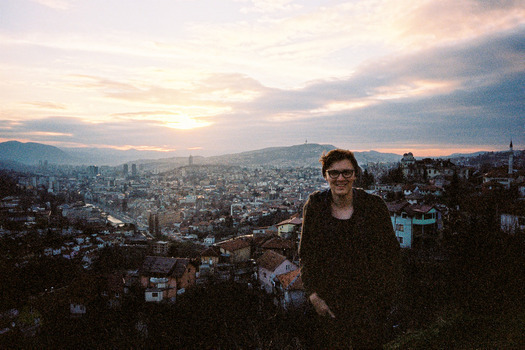 Conner in Sarajevo, Bosnia, where he studied in 2015. Conner at a Black Lives Matter protest in 2014. A 2016 graduate of DePauw University, Conner became a Graduate Fellow after working as an intern at the Prindle Institute for three years. 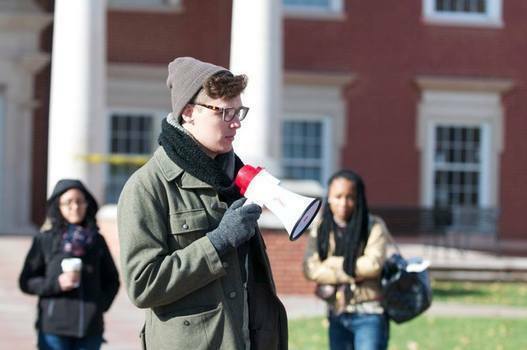 While at DePauw, Conner studied political science and was active on campus as an Honor Scholar, Intercultural Community Conversation Facilitator (ICCF), opinion contributor at The DePauw and Art Editor for DePauw's literary magazine, A Midwestern Review. He also studied conflict and memory in Serbia, Bosnia and Kosovo in 2015. His research, "A Resistance, Remembered? Remembrance, Commemoration and the Parallel System In Prishtina, Kosovo," was published by the School for International Training in 2015. 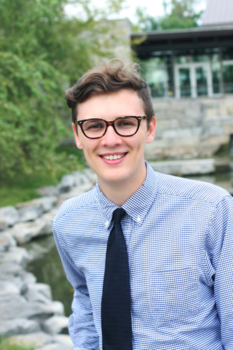 As a Graduate Fellow, Conner primarily focuses on Prindle's writing and online presence. He is the editor of The Prindle Post, where he frequently writes on politics, art and culture. He works with the Hillman Interns and Prindle Post Staff Writers to develop writing skills and critical engagement with ethics issues. He also helps manage the PEA Soup ethics blog and works with Castle Arts to bring ethics and writing education to Greencastle middle schoolers. Conner is also a photographer interested in the intersections between politics, place and memory. His work has been featured on various online platforms, as well as in exhibitions in the U.S. and Europe. You can visit his personal site here.